One of Balachadar�s under-rated master pieces. Anu acts in one of her best roles after �Aval oru thodar kadai� (her first movie). The movie was way-ahead of its times by the simple fact that there was one heroine and three men (Rajinikanth, Kamalhasan and Bharani) yearning for her. The story starts with a young single mother, Anu, moving to Madras from Bombay and being stranded without a house and company. Janardhanan, who is a colleague offers to help her and find her a house. With difficulty, she finds a house with his help and tries to settle in. The puzzle of her current position is solved by a flashback. She was in love with Bharani who had to leave her and go to his struggling family. 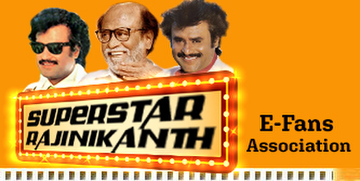 Forced by her ailing father, she marries his boss, Rajinikanth. She soon realizes that he is a sadist and cannot stand his poisoned words and actions. She leaves him and lands at her current job with her child. Janardhanan, a widower and a ventriloquist, starts developing feelings for Anu and is struggling expressing himself. But, fate plays its hand in their lives and it turns out that Anu�s ex-lover, Bharani, is living in the house right opposite hers looking after his sick sister. When the lost lovers meet, sparks start and Anu, after a long time starts being happy again. Ramnath�s mother, Leelavathi who hears about his son�s misdoings, wants to take care of her daughter-in-law and grandson and enters Anu�s house as a maid. When all things seem to be going well, Rajinikanth returns to his estranged wife seeking forgiveness, and she is in a total soup. The climax is very different and shows the resolve of the heroine. Single mother, divorcee phenomenon was not particular in the �70s, leave alone now. To show that a woman can stand by herself and also can lean on others for support, if required, both do not demean her character. Kamalhasan is said to have learned ventriloquism to help with the character. The song �Katrukenna Veli� by S.Janaki is very catchy, yet melodious.